The streets of our village have been plagued with potholes and frost boils every spring, but this year it's particularly bad! Thank you to those who have informed me and the Village Office about many of the problem areas. Frost boils are caused by too much water under the roadway, making the surface layers very soft. We can either barricade them off and let them firm up as the water table goes down, or we can dig up the area, put in new material and pack it well. Obviously the first choice is the cheapest. Each soft frost boil area will be assessed and dealt with over the next few weeks. 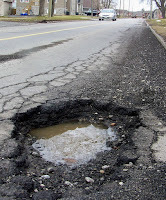 Potholes are caused by somewhat similar circumstances but usually affect the top layers in a small area. I think I've been informed about every pothole within the village limits. 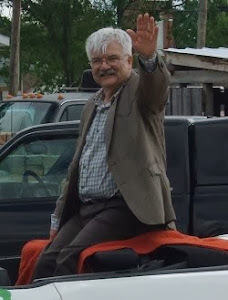 Some have been filled with a sand, gravel and tar mix called "cold mix," while others will have to wait until our streets are swept clean during the first week of June. After the streets are swept the remaining potholes will be repaired. One of the areas of big concern is at the corner of North Road and First Avenue. That area will be attended to during that first week of June. 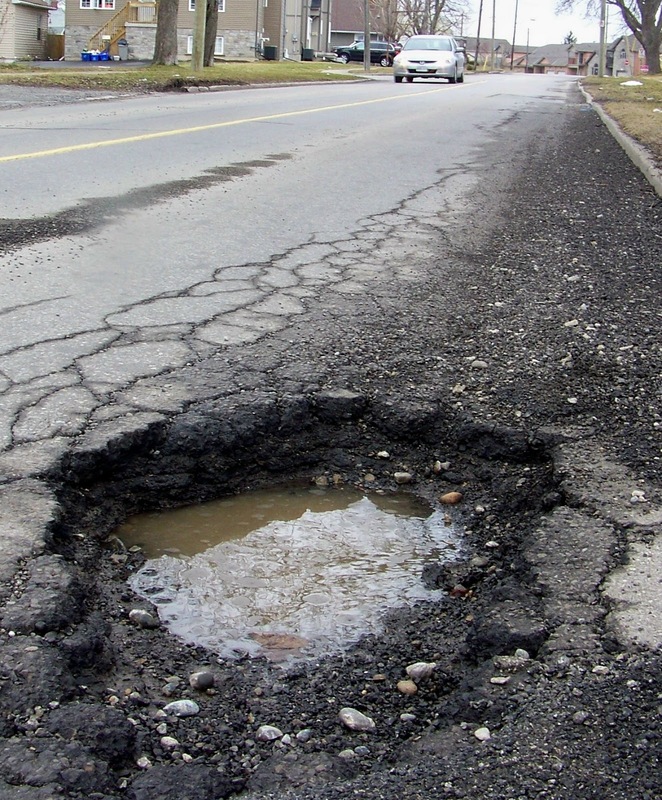 If you see another pothole or frost boil which seems to have missed our scrutiny, please report it to the Village of Beiseker Office, by calling 403-947-3774! A whole row of them entering 1st Ave. from Highway 72. Have you called the Village office about them?